In the final part of his series on Football in Conflict Zones, Mike Kobylko looks at the myriad problems that have faced the national game in Palestine and whether there is hope for their future. You can find more of Mike’s work by following him on twitter, @Mike7077. Last week saw Fifa Secretary-Gerenal Jerome Valcke outline the travel itinerary that would face those nations that qualify for the 2014 World Cup in Brazil. There is a nation that will almost certainly not qualify for this tournament which could nevertheless tell the rest of the world a thing or two about logistical difficulties. For every match that the Palestinian national football team plays comes fraught with problems. Among all the nations of the world, this is a unique situation, and one which continues to stand in the way of progress on the Palestinian football field. Of the five conflicts covered by this series, the Israeli-Palestinian conflict is the most divisive. It would be foolish to attempt to provide an account of the history and the various grievances involved with so few words available, and when the main focal point is football. Whilst this particular conflict inflames passionate opinion for the various arguments that revolve around it, and while a lack of balance in any analysis will always be exposed, it is not unfair to suggest that Palestinian football faces monumental difficulties and challenges. It is not necessarily demonstrative of a particular bias to choose to focus on the matter. At the time of writing, Palestine are ranked 164th in the world in Fifa’s world rankings. They have never been higher than 115th. Given the passion for football that burns among Palestinians, both in the Occupied Territories and the Diaspora, such lowly status hints at problems on the ground. Before examining the particular difficulties that Palestinian football faces, it is worth asking a question; what is the Palestinian national football team? Most national football teams, even those from highly unstable countries, are representatives of a nation and a state. These are not necessarily always independent states – for example, the Faroe Islands remains a dependency of Denmark. But even in such cases, it is clear exactly which people and which territory are represented when the Faroe Islands play football. 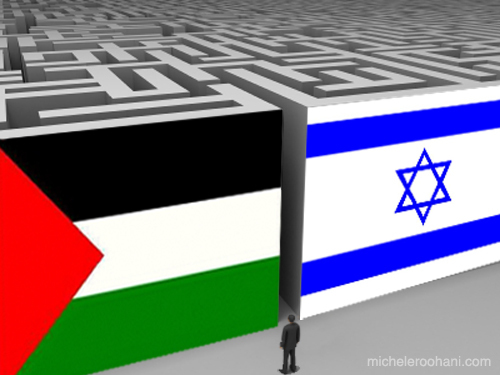 For the Palestinians, the situation is much less clear-cut. The national team certainly represents Palestinian national identity. But this is an identity held by a disparate group of people. There are those living on the West Bank and in the Gaza Strip – the ubiquitous “Palestinian Territories” or “Occupied Territories”. There is the large Palestinian Diaspora whose members are spread throughout the world, from Jordan and Lebanon in the Middle East to various parts of Europe to established communities in South America. And then there are ethnic Arabs living inside the State of Israel, possessors of Israeli citizenship but with obvious ties to Palestinian national identity. Although, in legal terms, the team represents the Palestinian National Authority, the one thing missing is a defined state with recognised borders and a central authority. As one might imagine, even selecting a squad is beset with complications. Israeli restrictions on movement in and out of the West Bank and Gaza Strip mean that Palestinian footballers, based both inside and outside of these territories, sometimes struggle to answer a call-up. Obtaining visas to enter and leave these territories can be troublesome and such a request is often refused. Meanwhile, Arab footballers with Israeli citizenship, despite their Palestinian origins, are often not eligible for the Palestinian national team. In order to play, they would need to swap their Israeli passports for a Palestinian one. Given that this would then alter their status within the State of Israel, there is substantial reluctance to do this. So with options limited within the Palestinian Territories and Israel, the manager must look to the Diaspora in search of players eligible to turn out for the national football team. Of course, these players find it no easier to enter and leave the Occupied Territories. But they are more able to appear in matches held at neutral venues. Even here, however, problems exist. Theoretically, a substantial portion of Jordanian footballers are eligible for the Palestinian team. But promises have been made to the Jordanians not to select them. Given the large numbers involved here, it would be catastrophic for Jordanian football to lose these players, and a boon to the Palestinians to gain them. The result of all this is that the Palestinian national team relies heavily on Palestinians living in Europe, South America and the United States. Football arrived in the region in the immediate aftermath of World War I. Its popularity grew among Jewish and Arab communities in the British Mandate of Palestine. But the Palestinian national team’s history didn’t truly begin until 1998. Prior to this year, Fifa recognition was elusive. Organised football did exist in the Occupied Territories, and was indeed well established. But without a recognised formal Palestinian political authority, Fifa did not see grounds for extending membership to any footballing authority. In 1994, as a key plank of the Oslo Accords between the Palestine Liberation Organisation (PLO) and Israel, the Palestinian Authority was established to administer and govern parts of the West Bank and Gaza Strip. Originally an interim arrangement, by 1998 the authority was established enough for Fifa to feel comfortable in extending recognition and membership to the Palestinian Football Association (PFA) as the representative organisation of the aforementioned Palestinian National Authority. The national team was now free to take part in Fifa competitions. The team stood no chance of playing their home fixtures inside the Occupied Territories. A combination of Israeli restrictions and fears over security forced them to begin their life abroad. Their first coach was to be an Israeli Arab, Azmi Nasser. With a history of modest success managing Arab clubs playing in the Israeli league system, Nasser was tasked with establishing the national team and of providing a good showing in the process of qualifying for the 2000 Asian Cup and the 2002 World Cup. (Nasser would not get the chance to lead the World Cup qualifying campaign). After a series of friendlies, the first real competition that the Palestinian team faced was the 1999 Pan-Arab Games. Nasser’s men delighted fans by claiming the bronze medal. While the tournament included only a small selection of Arab sides, optimism encircled the team’s achievement. Sadly, they could not carry this forward. Victories over Hong Kong and Malaysia were certainly notable, but there would be no Palestinian team at the Asian Cup that followed. When Nasser’s tenure came to an end, he was left to bemoan the myriad problems and obstacles that block the national team’s path. He had found squad selection especially troublesome. In an attempt to relieve this, the Palestinian Football Association looked towards South America, and appointed Nicola Shahwan, a Chilean-born Palestinian as their new manager. Shahwan and the PFA put together a plan for qualifying for the 2002 Pan-Arab Cup and the World Cup of the same year that involved sourcing players among the Palestinian Diaspora based in Chile. These players were not refugees of the various conflicts with Israel. They had been born in Chile, as had most of their parents. Rather, the Chilean Palestinian players were descended from Christian grandparents who had fled persecution under the Ottoman Empire at the turn of the previous century. Fifa’s grandparent rule meant that a good number of these footballers would be eligible for the Palestinian national team. The Shahwan plan brought a degree of success. The team did qualify for the Pan-Arab Cup, but exited at the group stage. There would be no qualification for the World Cup. The team’s performances were sufficient to bring about a rise in their Fifa ranking – by April 2006, they were ranked 115th in the world, their best ever. Palestinian football fans became accustomed to players in their side whose first name was Roberto or Pablo and various other names of Spanish origin. By this stage, and with the security situation improving, the dream for Palestinian football fans was to see their team play on home soil. Shahwan was not given the chance to lead the 2006 World Cup qualifying campaign. He was removed following a failure to reach the Asian Cup, and was replaced by Austrian coach Alfred Riedl. Riedl oversaw a qualifying campaign in which Palestine briefly topped their group before being hindered by Israeli travel restrictions. But in 2008, Riedl’s side had the honour of participating in the first ever Palestinian home international on Palestinian soil. As part of Fifa’s Goal development programme, the PFA had built a brand new stadium at Al-Ram, north of Jerusalem. On October 28th, Palestinian football supporters flocked to the Faisal al-Husseini International Stadium and witnessed a 1-1 friendly draw with Jordan. They would have to wait two-and-half-years for a competitive fixture in their new stadium. The day came in March 2011, when Palestine hosted Thailand in a second-leg qualifying tie for the 2012 Olympic Games. The Thais had won 1-0 in Bangkok, and the game in Al-Ram finished 1-0 to the Palestinians. While Thailand won the penalty shootout, they had also fielded an ineligible player, which meant Palestine progressed to face Bahrain. In a tight tie, it was Bahrain that won through. Whether you administer Palestinian football, coach the national team or pull on the national shirt, the fact is you have one of the toughest jobs in football. For as long as travel restrictions continue to dog squad selection, the Palestinian national team will remain toward the lower reaches of Fifa’s rankings. The security situation will continue to impact upon what can be achieved. There may be times in the future when home fixtures have to be held away from the West Bank. But there is enough passion for the game in the Palestinian Territories and enough raw talent available among the nation of Palestine that, with the right set of circumstances, success is not necessarily beyond their reach. In a polity that struggles to govern itself and fights bitterly within itself, it is hard to believe that football will get the kind of stable and visionary leadership it needs, let alone the investment it would take. But, with Fifa awarding the PFA the first ever Fifa Development Award and promising to assist in the further development of the game, there is room for optimism. One thing is for sure. Whatever problems lie ahead in Brazil for those sides that qualify for 2014?s World Cup Finals, the chances are the Palestinian national team have been through much worse.